Place of discovery; size; appearance; habitat; diet. Get dino knowledge more ferocious than a Velociraptor. Made with all the ooomph you expect from National Geographic, this is the ultimate lowdown on almost every dino ever discovered. It has all the stunning pictures you demand from NG, plus incredibly detailed stats, maps and highlights focusing on 125 of the best-known species. Every dino gets a fact box with all the must-know statistics. 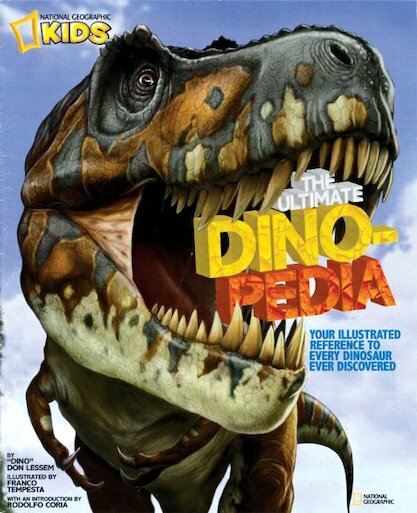 Plus: find out how we know what dinosaurs looked like – and chuckle at some of the scientists’ funniest dinosaur goofs! This is REALLY the best book of dinosaurs in HISTORY!!!! I really wish if I can buy it.I bet if anyone who likes dinosaurs, this is the perfect book for dinosaur lovers.